This course is for people new to SOLIDWORKS PDM Professional, who will be using SOLIDWORKS PDM Professional to manage their design data while using SOLIDWORKS. The focus of this course is on the fundamental skills and concepts central to the successful use of SOLIDWORKS PDM Professional. Students will learn SOLIDWORKS PDM Professional concepts, how to perform day to day tasks as well as user environment configuration and reporting. Basic experience with the SOLIDWORKS software. The SOLIDWORKS PDM Professional CAD CAD Editor / Contributor / Viewer training guide will be supplied at the beginning of class and is yours to keep. 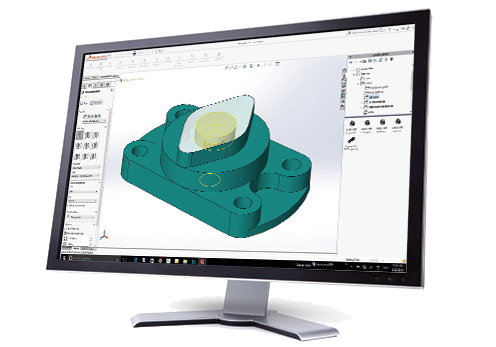 Students will have the fundamental skills and understand the concepts central to the successful use of SOLIDWORKS PDM Professional for managing CAD and other files.